Retreat. Part of the Kingdom of Denmark, the Faroe Islands are an archipelago between the Norwegian Sea and the North Atlantic halfway between Norway and Iceland. From May 24 to 26, 2017, the international epilepsy community will retreat to the Faroe Islands for a conference on the mechanisms of focal epilepsies. With this post, I am inviting clinicians and scientists who typically read our blog to this meeting. Take a quick glance at the program and you will understand why I think that this meeting is interesting. In 2017, a conference on the mechanisms of focal epilepsy has become a conference with a main focus on genetic mechanisms. Here is how our perception of the genetics of focal epilepsies changed over the last 18 years and why a trip to the middle of the North Atlantic may be worthwhile for you. Faroe Islands. 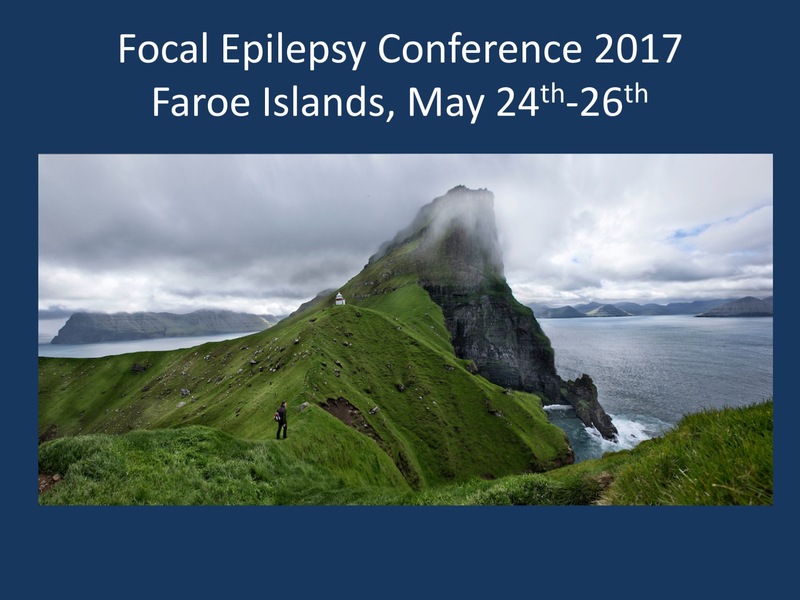 The 2017 Focal Epilepsy Conference will take place on the Faroe Islands from May 24th to May 26th, 2017. This meeting will have a strong focus on the genetic aspects of focal epilepsies, which has emerged as a major factor not only in rare familial epilepsies, but also in common focal epilepsies secondary to focal cortical dysplasias. Focal Epilepsy, 1999. During my time in Melbourne, I occasionally read through chapters of “Genetics of Focal Epilepsies: Clinical Aspects and Molecular Biology” (Google Books), a book that was printed in 1999. The reason why I remember this book is not because it represented a state-of-the-art snapshot of the gene discovery in the field – books can rarely do that, and, during my time in Australia, this book was already almost a decade old. No, the main reason I remembered this book was because it approached the genetics of focal epilepsies from all possible angles. At the time, much of what was known about focal epilepsy genetics was clinical; many of the major genes had not been discovered yet, but the clinical entities were well-described. What has happened since. Consider the 18 years since the publication of this book as a period of filling in the gaps for familial epilepsy syndromes and common epilepsies. The last five years in particular have given us an idea of what lies ahead of us. Focal cortical dysplasias and migration disorders suddenly share common mechanisms with non-lesional epilepsies. The mTOR pathway, considered a niche mechanism for a rare genetic syndrome, has now become a de facto paradigm for common focal epilepsies. Genetics has migrated from the study of families to the investigations of mosaic cell types. Looking back, it has been an unlikely journey. Even back in 2012, I was still giving presentations entitled “Epilepsy genetics for epilepsy surgeons,” trying to get at least some attention from a group of professionals that have traditionally been unfamiliar with any considerations around genetics. Now, everybody is talking about mTOR. My expectations for the Faroe meeting. Other than representing the current state-of-the-art in our understanding in focal epilepsies, what do I expect from this meeting? Here are three things that I think are worthwhile pointing out. 1 – From channels to structure. I was asked to give one of the overview talks at this meeting, and the organizers have provided me with a relatively vague title on purpose. My role as the first speaker at this meeting will be to retrace the story from channels to structure and to indicate what lays ahead. During my presentation, I will try to present the larger story line, attempting to point out the various threads and hunches that have existed over the years that have finally materialized into gene discoveries. In parallel, I will try to pick up on various trends and tendencies that are present right now and that will help us move forward. What does the story from channels to structures tell us about the current unmet needs? Can we learn anything from the last 18 years about what we should NOT do? These are topics that I would like to touch upon in the keynote presentation on the first day of the meeting. 2 – Precision medicine. Focal epilepsies require their own specific approach to precision medicine. The field of epilepsy precision medicine has largely been driven from the pediatric side given the high frequency of patients with explained genetic etiologies. However, the focal epilepsies are catching up and may be driving the development of precision medicine therapies in the future, parallel to what is seen in AED development. Focal epilepsies represent the most common epilepsies, and the field of epilepsy precision medicine will develop its own dynamics relatively soon. The major limiting factor may not be the lack of patients with identifiable etiologies, but the limited availability of specialists who are able to take care of these patients. 3 – Phenotypes, EEGs, MRIs catching up. In the Epi25 project, we are currently in the process of sequencing more than 6,000 epilepsy patients with similar, if not larger, numbers expected for the years to come. The reason why genetics has become a numbers game is scalability. Given that pipelines of genome centers are constantly running, the cost for exome/genome sequencing drops significantly. Sequencing has become a commodity that is getting increasingly cheaper. However, phenotypes, EEGs, and MRIs lag behind, and the generation and curation of these datasets has not been scalable so far. At the Faroe Islands, I will be joined by Pouya Khankhanian and Collin Ellis, two epilepsy/neurology fellows at the University of Pennsylvania who are currently starting their careers in epilepsy genetics. Both of them will present our current thoughts on how we can overcome the issue of limited scalability of phenotypes. Pouya will present some of our initial work on data extraction from electronic health records (EHR), a budding field of data science that may move us towards electronic phenotyping. Collin will present some of our cloud solutions to combine EEGs, MRIs, and genetic data that we are currently developing with Blackfynn, a Philadelphia-based start-up company. Both strategies, EHR data extraction and cloud platform, have the unique potential to address the phenotyping bottleneck that is currently preventing us from many clinical applications of our gene discoveries. Please join us. If this is of any comfort to you – the Faroe Islands are not close for anybody, not even for the team of the Danish Epilepsy Center in Dianalund and Amplexa Genetics who are coordinating this meeting. This is part of the purpose of this meeting. We are looking for the isolation of the Northern Atlantic to brainstorm about the current state and ways forward in the understanding of focal epilepsies. Please feel free to contact the organizers if you’re interested in joining us. We’re looking forward to seeing you in Tórshavn, the Capital of the Faroe Islands, in May. This entry was posted in 2017, Meetings and tagged Faroe Islands. Bookmark the permalink.